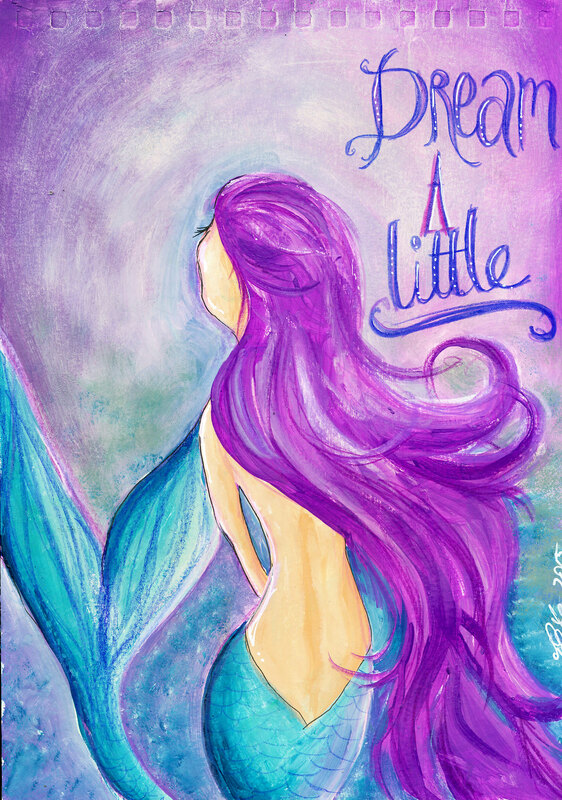 I am so super excited about this prompt…I love mermaids almost as much as I love fairies. I am totally in love with all the pages this week. I just adore Peta’s back view and that hair, oh my gosh that hair! 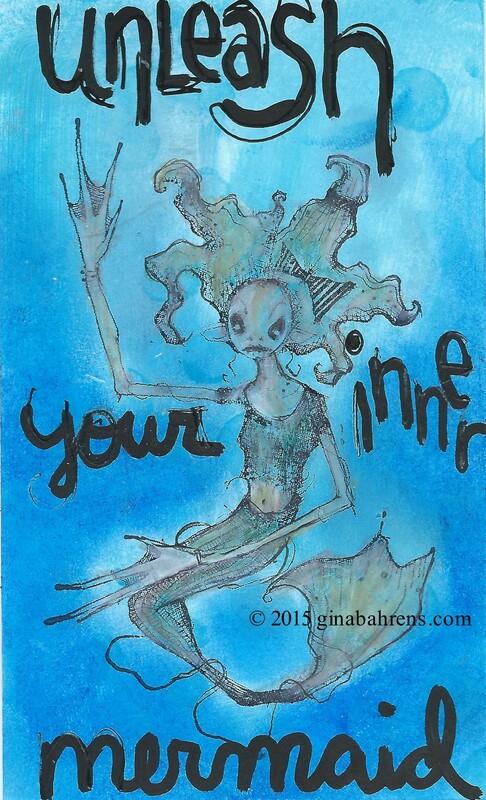 And I can’t decide whether I like Gina’s mermaid’s tale on her journal page, or the creepy mermaid on her ICAD better…they are both so cool. 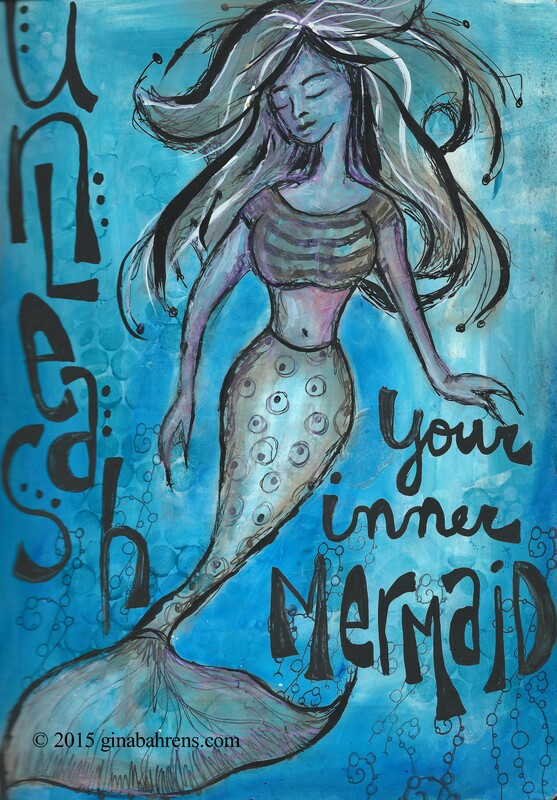 I have to admit I was a little intimidated when I was creating my lesson this week, and hope you like my take on a mermaid in motion. For our JKIS students, I am having serious internet issues up here on my mountain this week due to the heavy rainfall and the lesson videos have not been uploaded. I have not given up, but please be patient with me. At worst, I will head to town in the morning and find a place to upload. Thank you in advance for your understanding.